Climate change is a severe threat to life on the planet. Energy and related fields are the major contributors to global warming and climate change, along with transportation. According to a research report published in Business Insider, even if the entire planet is covered with trees at the present time, it will not be sufficient to consume the total carbon from the atmosphere, which in turn will surpass the 2 °C threshold set as per Paris agreement to protect the world from catastrophe. Ample quantity of solar energy is available on the surface of the Earth which, if tapped efficiently with the help of technologies, could help meet the global energy demand with the least carbon footprint, which is the exigency of the hour. The incoming solar radiation in the upper atmosphere is 174,000 terawatts (TW), in which approximately 70% is absorbed by the atmosphere, lands, and ocean encompassing the Earth. Considering solar fluxes in the form of incoming and reflected radiation, a total of 122,000 terawatts (TW) of energy is available in the atmosphere for energy production, while the total world energy demand during the fiscal 2016 year was 21.73 TW and is expected to increase to 26.78 TW by 2040. 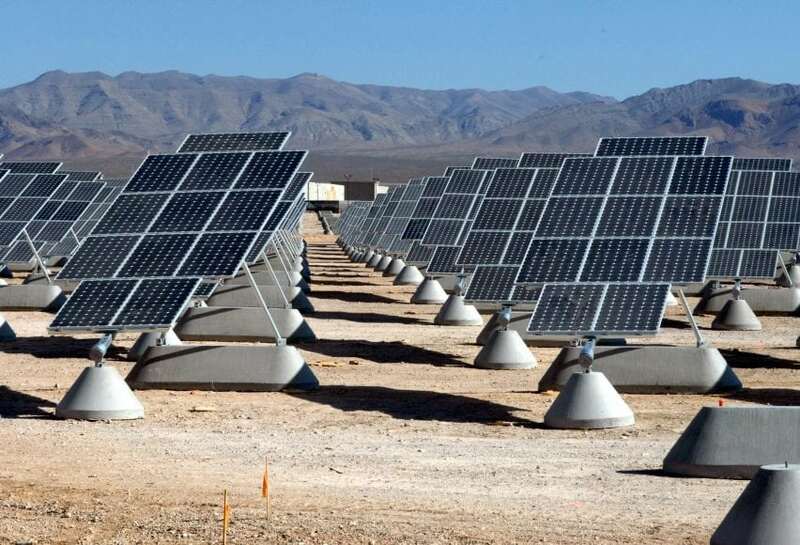 Considering the above facts, the Desertec foundation stated that, “Within six hours deserts receive more energy from the sun than humankind consumes within a year.” However, the solar industry is functioning with traditional technologies which face a severe setback due to inefficiency in heat transfer, power transmission, and limitation of energy storage media. In order to meet the burgeoning energy needs of the present and future generations, efficient technologies for energy storage and heat transfer are required. Considering GCC cooperation and the MENA region-energy hub of the world, it can be deduced that these regions are fully equipped with solar resources which, if tapped properly through advanced and efficient heat transfer, energy storage, and power transmission technologies, will be able to meet the demand of entire world. Also, this global energy transmission network will bring stability and prosperity to global economies. The solar technologies coupled with desalination and food production systems will ensure food-water-energy security for the entire world in a sustainable manner. Solar PV has seen a revolution in the past decade, and a wide scale implementation has seen PPAs as low as 0.025 USD per kWh. Concentrated solar power (CSP) on the other hand, offers more flexible power generation and supply options in comparison with power from solar PV. PPAs from CSP has also seen a significant decline. The lowest PPA signed for CSP plant was almost 0.073 USD per kWh. Also, with advanced manufacturing technologies, efficient heat transfer and energy storage media along with energy saving due to nanotechnology might help in significant reduction in CAPEX and thus in PPAs, too. Nanotechnology, on the other hand, is changing lives across the planet, and recent researches have shown a promising future for efficient heat transfer and energy storage. Researches on low-temperature solar collectors have shown efficient heat transfer as well as energy and money saving performances. Assuming similar results are shown by high temperature and pressure, solar collectors and nanofluids (engineered suspension of nanoparticles in base fluids) might change the course of future, and human civilization might see a renewable revolution which will fulfill food-water-energy security, simultaneously mitigating climate change and global warming and their ramifications. These findings are described in the article entitled Critical review of solar thermal resources in GCC and application of nanofluids for development of efficient and cost effective CSP technologies, recently published in the journal Renewable and Sustainable Energy Reviews. This work was conducted by Tejvir Singh, Muataz Ali Atieh Hussien, Tareq Al-Ansari, and Gordon McKay from Hamad Bin Khalifa University, and Khaled Saoud from the Virginia Commonwealth University. Tejvir Singh is a research scientist at Hamad bin Khalifa University in the College of Science and Engineering. His areas of research are sustainability and development, water quality, environmental pollution, and environmental analysis.